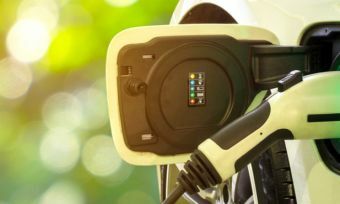 We all know that some appliances are more energy-efficient than others, and that greater efficiency equals less money spent on your electricity bills down the track. But have you ever considered not just having efficient appliances, but an efficient house? 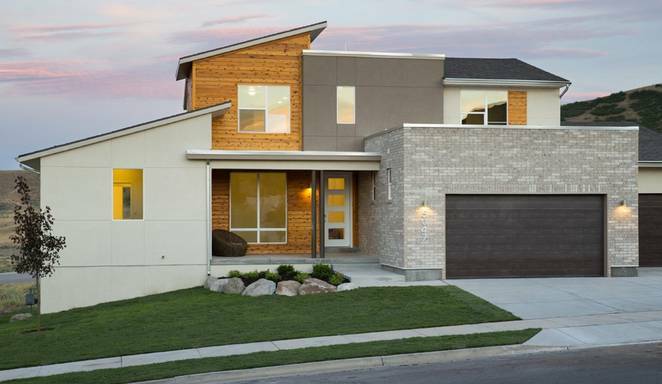 The brainchild of Garbett Homes (a property developer) and Vivint (a smart home tech company), this Utah home got its name owing to the fact that, at the end of each day, the amount of energy it has used and expended end up cancelling each other out. This means this home has an effective energy use of zero, which must be a source of some hefty jealousy for other homeowners in the area who, according to Garbett, pay around $300 a month for their utilities. The bulk of the home’s energy comes from its 40 solar panels, which generate 10 kilowatts of electrical power per day. The Zero Home is pretty luxurious for what some might describe as a ‘hippy house’. It boasts two levels, five bedrooms, three bathrooms and a four-car garage. It’s being pitched at about $400,000USD, and has been independently certified by the International Code Council. Its incredible efficiency is said to come from new construction materials, improved building practices, and high-tech infrastructure components, plus roof-mounted solar panels, tankless water heaters, a new type of HVAC (heating, ventilation and air conditioning) system, and a host of ultra-efficient household appliances. American Dennis Kaech began construction on this house in 2008, and it wasn’t finished until late 2012. While that seems like a lot of time to spend on building a house, it sounds more reasonable once you know what’s in the thing. The 72-year-old was determined to build a house that was as energy-efficient as possible, and spent $350,000USD in pursuit of that goal, installing solar panels, passive heat storage, a windmill, and what one article describes as “enough insulation for a colony on Mars”. The home also makes use of a large rock wall next to the house which captures solar rays and heat from a stove in the day, and then releases that heat back into the house at night. A concrete box holding more than four tonnes of rock underneath the living room serves a similar purpose. On top of that, the house’s wooden walls have more to them than meets the eye, being a layered combination of planking, foam insulation, house wrap over sub-paneling, four-inch thick fiberglass, a two-inch thick layer of blown-in foam, and lastly some drywall. Even the walls are efficient! Kaech’s radiant heat system and water supply are heated by a combination of ground heat and solar power, with an electrical system as a backup. The only thing that doesn’t work is the windmill, which apparently rather bothers Kaech, but we’re sure he’s not too upset about it, what with the rest of his house being absolutely incredible! This home in West Kirby was designed by an architect named Colin Usher for him and his wife to live in, with the goal of keeping their energy bills as low as possible. He’s reasonably confident that his design worked, claiming they pay “less than the price of an average takeaway” (around 15 quid) for a year’s worth of energy for heating, lighting, cooking and hot water. He even won an award for the house! 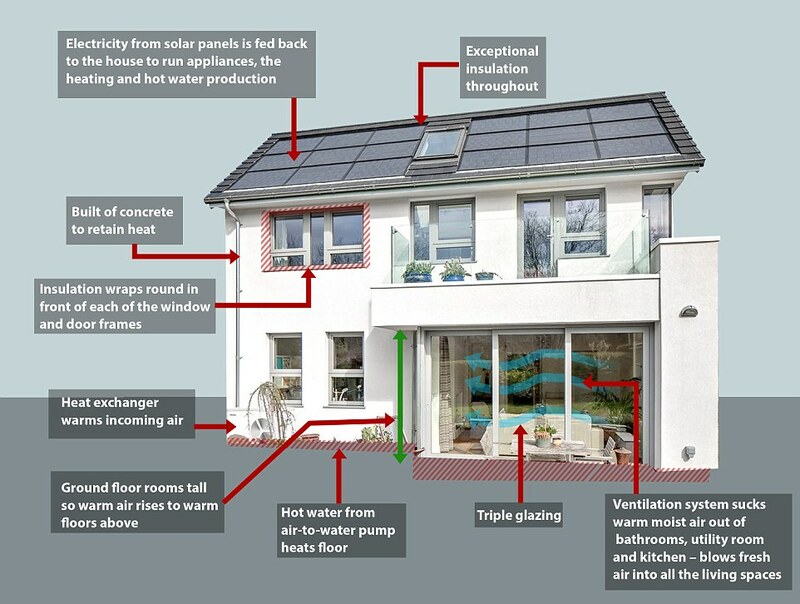 The home makes use of a number of efficiency features, including solar panels, a huge amount of insulation, heat-retaining concrete walls, triple-glazed glass, and a high-tech heat pump which takes heat from the outside air and sends it through the house. The house cost £440,500 all up for both the land and the construction, which wasn’t that much more than you could have expected to pay for a similarly-sized house in the area at the time. The main goal of the design was to maintain a constant heat in the home throughout the year, and most of the efficiency-oriented features are geared towards that goal. Indeed, Mr Usher said that because he was designing a home for himself rather than a client, he got to test some of the theories he had, and evidently they ended up paying off. Costing just £3 a day to run, this Hampshire property is one of a very small number of homes in the UK to achieve an Energy Performance Certificate A Rating. 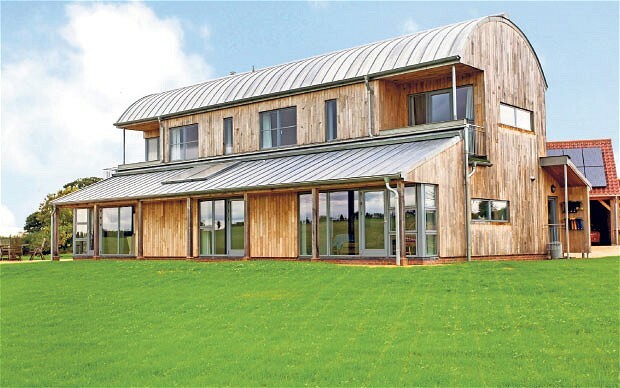 It pulls energy from the ground it stands on by way of a ground-source heat pump, and makes use of photovoltaic solar panels to generate electricity and heat water. The home is practically its own little eco-system, capable of processing and recycling sewage using a bio-digester. On top of that, The Barn House has a number of underground tanks which collect rainwater for reuse. The family reportedly has plans to sell the property for £1.2 million, but is currently making a tidy profit from selling half of their generated electricity back to the National Grid. What we love about all these homes is that they completely dispel the idea that an eco-friendly property should for some reason look different to, or even worse than, a regular home. These four houses are all stunning pieces of architecture, and while they were built to be efficient rather than aesthetically pleasing, it certainly doesn’t hurt that they’re beautiful buildings! Compare electricity providers in New Zealand.